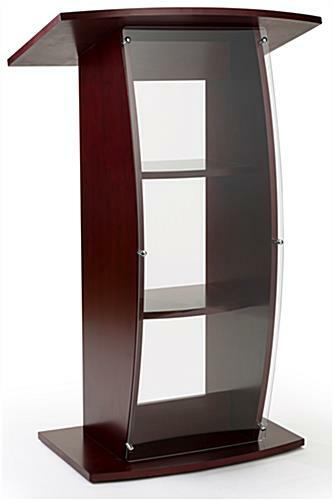 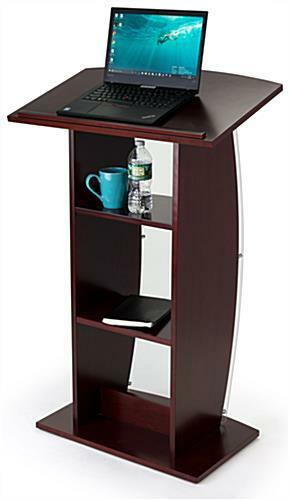 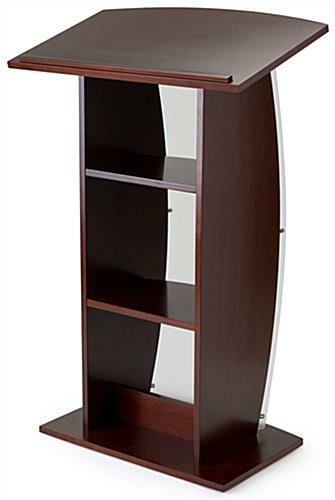 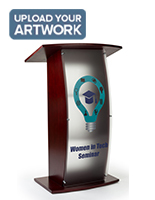 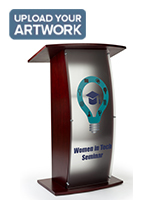 This mahogany lectern with curved panel makes a beautiful statement at any speaking engagement. 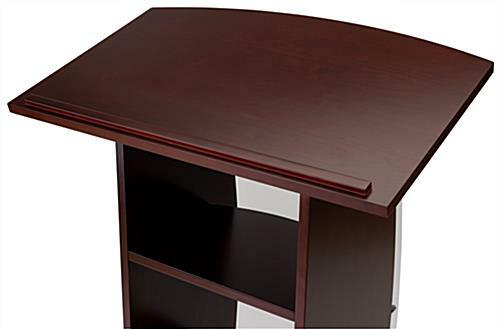 The sturdy wood base has a rectangular shape that keeps the stand sturdy during use and four rubber feet help keep it secure while protecting floors at the same time. 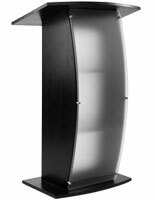 This lectern with curved panel, also known as a church podium, is a simple and elegant piece of furniture that is used by commencement speakers as well as clergy persons. 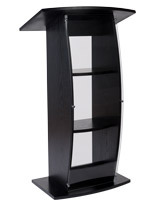 This pulpit for lectures includes two fixed shelves for storing notes and technology. 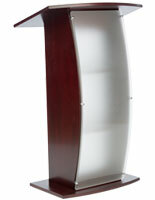 This lectern with curved panel has a decidedly modern design. 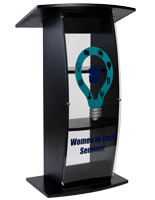 It is attached to the frame of the podium by six stylish aluminum standoffs. 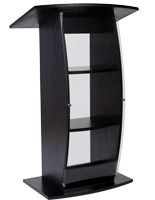 This floor standing speaker stand ships fully asssembled. 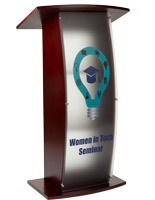 Please Note: Lecterns ship assembled and will only require the user to attach the acrylic front panel to the standoffs. 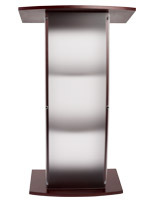 27.5" x 42.3" x 17.8"